Wee-Wee® Pads in X-Large size are 80% larger and more absorbent than the average housebreaking pad! 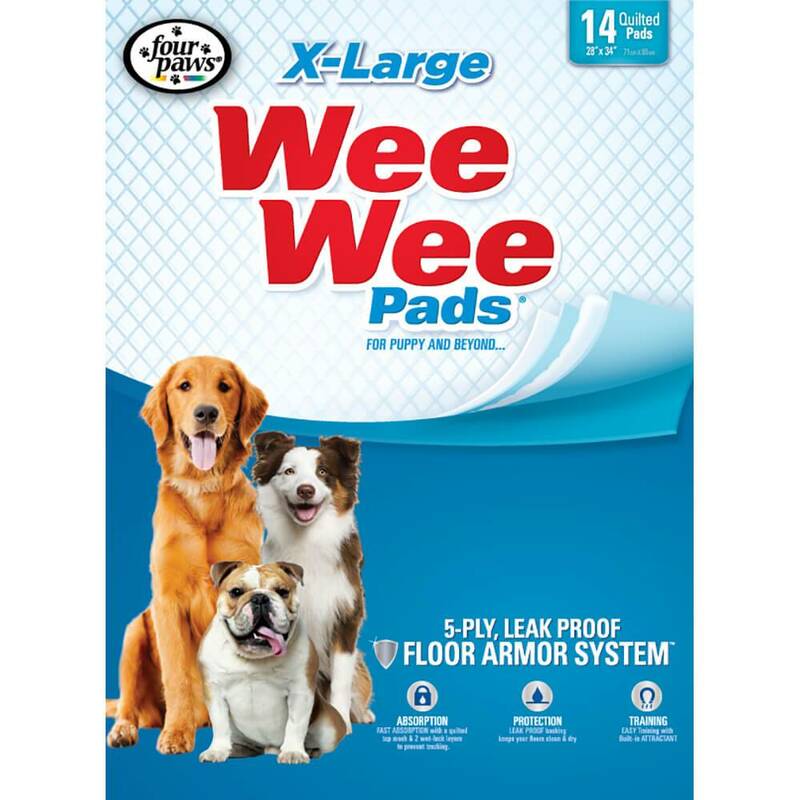 Wee-Wee® Pads X-Large pads are perfect for larger breeds or households with multiple dogs measuring 28”x 34”. Made with a 5-ply leak proof Floor Armor® System,Wee-Wee® brand pads provide all the leak proof, absorbing performance you’ve come to expect from our top quality brand. Treated to attract dogs when nature calls, Wee-Wee® X-Large pads are quilted for super absorbency and feature a leak proof plastic lining.